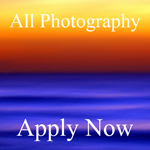 Light Space & Time Online Art Gallery announces a Juried Competition with an “All Photography” theme for the Month of September 2011. All photographers from around the world are called upon to make online submissions with the winners being included in the gallery’s October 2011 online art group exhibition. All digital, film, manipulated and alternative photographic and printing processes are welcome to submit. The theme for the September art competition is “All Photography” and the submission process and the deadline will end on September 28, 2011. Winners of the “All photography” Art Exhibition will receive extensive publicity in the form of email marketing, 70+ press release announcements, 55+ event announcements, social media marketing and website traffic in order to make the art world aware of the artist’s accomplishments.